Hillwalking | Remarkable Mountains & Coastline. Assynt has an amazing extraordinary landscape and there are thousand fresh-water lochs and surrounded by a series of remarkable mountains. Although not high in altitude, with only two Munros (above 1,000 meter) amongst them, these peaks are very steep and you will find themost memorable landscapes in Scotland for hillwalkers. The coastline is probably even more beautiful. There are cliffs, impressive sea stacks, and a whole series of stunning sandy beaches. Lochinver (fishing port) is the main settlement in Assynt and there is the gordious community of Achiltibuie, overlooking the Summer Isles. 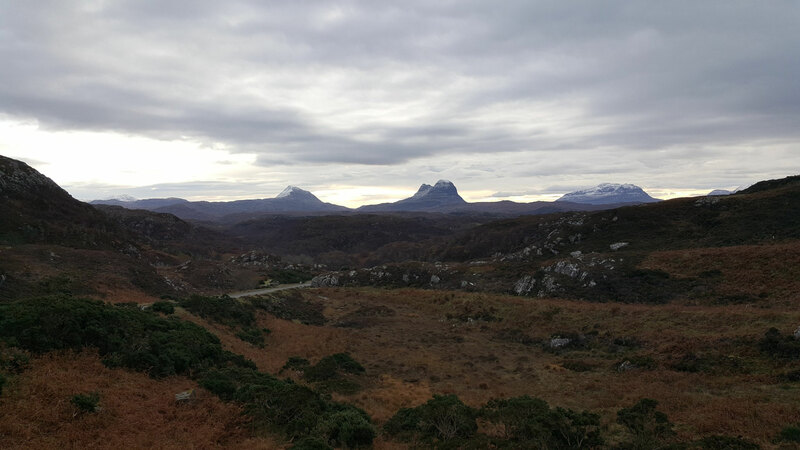 More information about walks in Assynt and Scotland can be found on the website of WalkHighlands.